Second Russian church in three days, and another very beautiful building. 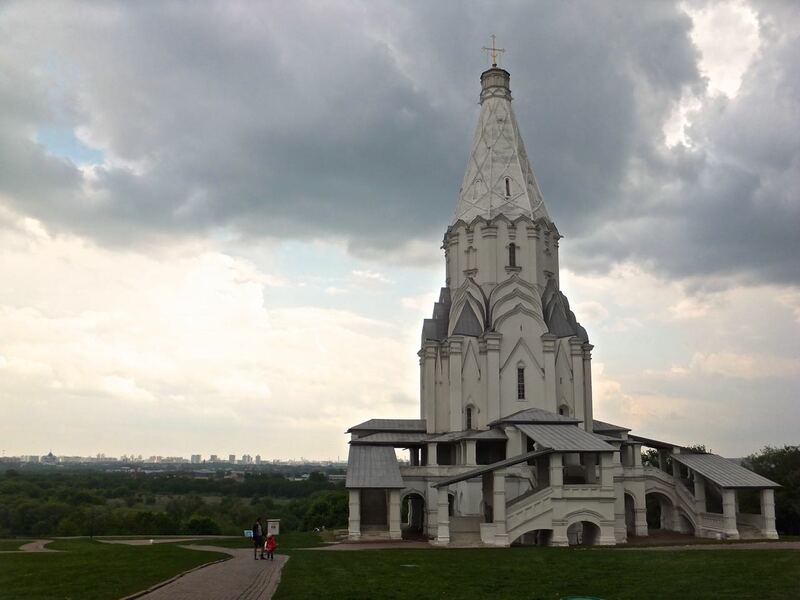 This one is on the UNESCO World Heritage list and stands in the park of Kolomenskoe, overlooking the Moskva (Moscow) river, to the south-east of the city centre. It was built in 1532 to commemorate the birth of an heir to the throne, who turned out to be Ivan the Terrible, so perhaps the appeal to divine providence didn’t really work in this case. Bearing that in mind the storm clouds gathering around it this afternoon seem kind of symbolic.